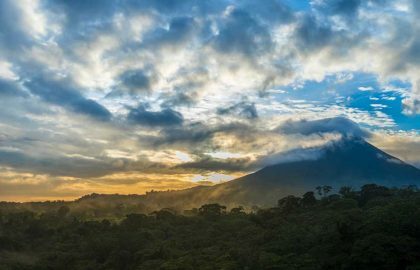 The Caribbean Region of Costa Rica is luscious green, diverse in fauna, flora, culture, and history, with a fantastic account of wildlife sightings, breathtaking rainforests, and gorgeous beaches, it is an anthem to the Pura Vida essence of Costa Rica. The Caribbean Region of Costa Rica is probably one of the most beautiful, yet undiscovered areas of Costa Rica. With warm and rainy weather, this is a place where you will find great wildlife experiences, fantastic adventures, true cultural events, and great accommodations to enjoy its incredible tropical nature and beautiful beaches. The Caribbean side of Costa Rica is encompassed in the province of Limon, that goes from the Southern border with Panama all the way to the Northern San Juan River that divides Costa Rica from Nicaragua. 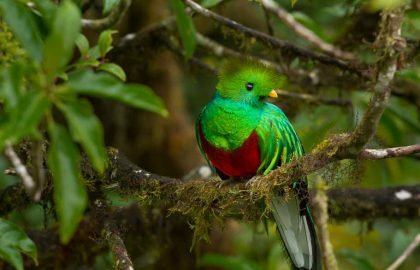 The Refugio Barra del Colorado is a 92,000-hectare (227,000 Acres) refuge made up of rainforest and wetlands that are home to a great diversity of flora and fauna. Traditionally Colorado is very popular among fishermen. that are the habitat of many the country’s indigenous flora and fauna. 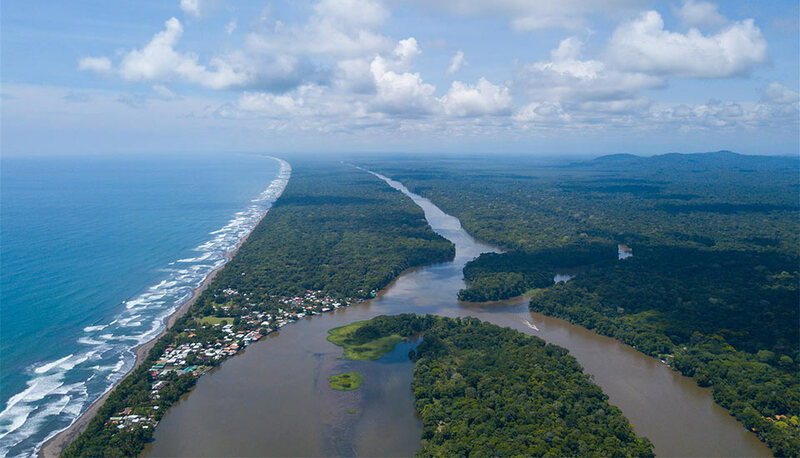 Tortuguero National Park and village, to the North, a small however impressive labyrinth of canals in the middle of an exuberant rainforest teeming with wildlife. 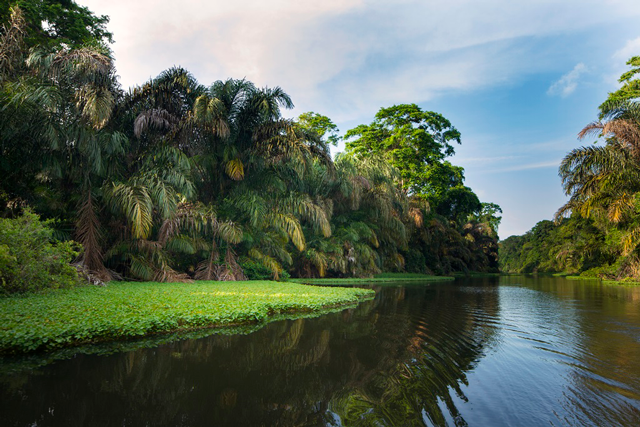 Remote and very exotic, Tortuguero remains as a nature lovers haven and a symbol for its breathtaking mirror-like landscapes. It is also very well known for the giant sea turtles that come to its 22 Km long coast especially from July to September to dig their nests in the sand and lay their eggs. This is the main city of the province, small and usually a bit dirty it is the port where thousands of cruises arrive every day during the Northern fall and winter. This means, basically that it is full of incredible activities that you can enjoy in vacation and without the crowds. 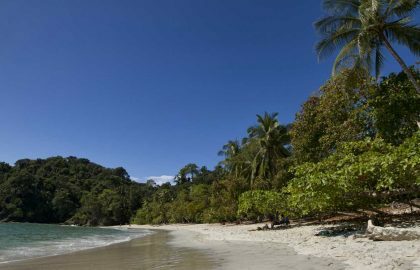 Including Cahuita, Punta Cocles, Puerto Viejo and Manzanillo. You will find all the destinations in the map below. There are three main airports in the Caribbean coast of Costa Rica. Colorado, Tortuguero, and Limon. To the South, you won’t find any commercial airports or airfields. There are two ways to see it: By land or by plane. The distance from the San Jose International Airport (SJO) to Tortuguero is 127.95 km, 79.51 mi, and 221.31 km, 137.52 mi. to Puerto Viejo in the South (To give you an idea). 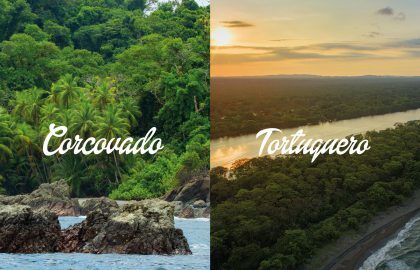 To get to Tortuguero and Colorado, you have to either take a land vehicle and boat or one of the local flights that come to the area every day. Here we will try to summarize a very long and painful history in a few words; however, the real history is much longer and indeed more interesting. 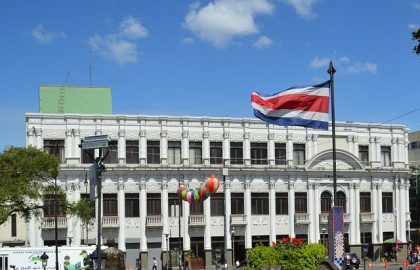 One of the things that call the attention of all travelers when they get to the Caribbean side of Costa Rica is that it seems to be in less prosperous conditions than the rest of the country. However, that is not necessarily true. Appearances lie, most of the time. Even though Columbus visited this side of our country in 1502, Costa Rica was conquered and colonized by the Pacific side. The dense exuberance of the Caribbean coast rainforests and the harsh conditions in the mountains, plus a well organized and very aggressive indigenous resistance made it impossible for Spaniards to get in on this side. In the colonial years, there were some attempts to grow cocoa in the region but the continuous invasions of the English corsairs and the pirates that swarmed the Caribbean days in those days made this, and the few slaves that were watching the plantations kept them and lived there isolated and permanently threatened. In the meantime, the rest of the region had what was left of the indigenous populations living in its mountains, that connected to the Pacific side through highlands passages. The area was just ignored by the Costa Rican scarce population that concentrated in the Central Valley and its surrounding mountains. Its entrance and exit were in the port of Puntarenas in the Nicoya Gulf, Pacific side. And it was up until the coffee planters decided that it was quite absurd that -having a Caribbean Coast- they had to send their product to England all the way across South America y around Cape Horn and started to gather money to build a train that would connect the Central Valley to the distant East coast. After some failed attempts finally, the railroad was built, and the price was, in fact, all this region, as the government paid with 800,000 acres (300,000 HA) of land to the company, that by then had already started to plant bananas. This event that may seem isolated from the history of the Americas marks the start of the so known as “Banana Republics” and their founder: Chiquita Bananas. And this marks the progress and fall of many places in Central America. Ecologically, economically and socially. Workers were brought by thousands to work in the banana fields, mainly Jamaicans and Chinese. Crating an unusual human diversity for those years in Costa Rica. It is said that a solitary lemon tree (limón in Spanish) was at the proposed site for the port when they found it in 1868, and that’s where it gets its name. The resulting establishing of Puerto Limon and having finally available communication to the Central Valley and main population and political centers Limon Port changed the landscape forever. 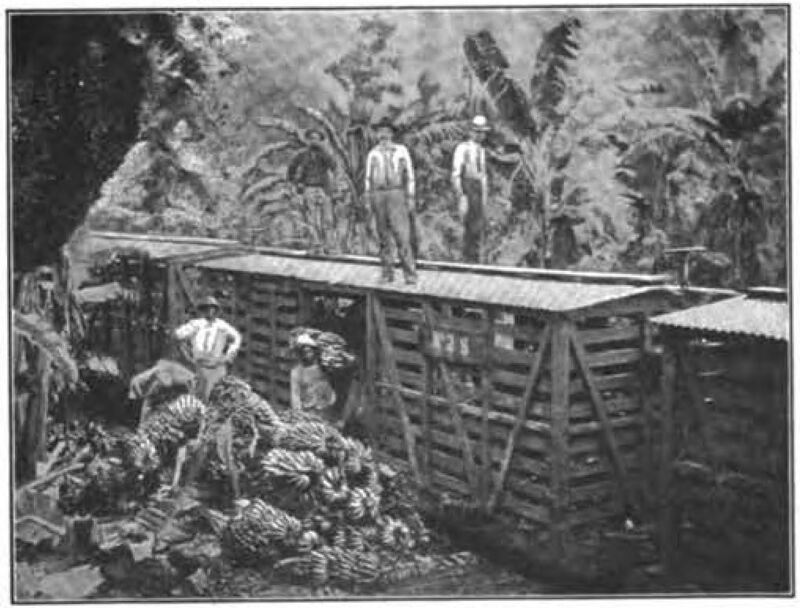 The railway company was overall a lumber company and the rich rainforests of the region, filled with mahogany, purple heart and rosewood trees, were cut to the ground, all the wood sent to New York (Primarily), and bananas were planted instead. In the 1930s a combination of diseases, terrible labor conditions and the 1929 crisis resulted in the company moving out to the Southern Pacific side of Costa Rica and the area immersed in an awful crisis with sick plantations and barren lands. Livestock, sugar cane, other species of bananas (Fungi resistant) and cocoa were planted as local alternatives for the people to produce, up until, in the 1980s and 1990’s a real diversification in the exports occurred and pineapple, soursop (Guanabana) and ornamental plants started to grow all over the country, and definitely the province of Limon has the perfect weather for them. While the railroad was almost destroyed in the earthquake of 1991 and it is only used for small shore excursions into the banana plantations, the paved Guapiles Highway (Highway 32) gives easy passage, connecting the Caribbean to the rest of the country. The Caribbean side of Costa Rica has quite a dramatic weather, hot and humid all year round; its average temperature is 30°C (88 F°) however in a hot day in March or September it can go up to 38° (100° F). The sunny season happens in March and April and again in September and October, although, sometimes, it happens that the sunny season starts in January or February and only gets rainy if there is a cold front coming from the North. And even in the rainiest part of the rainy season, it has long periods of sunny days with sudden storms and extreme downpours. 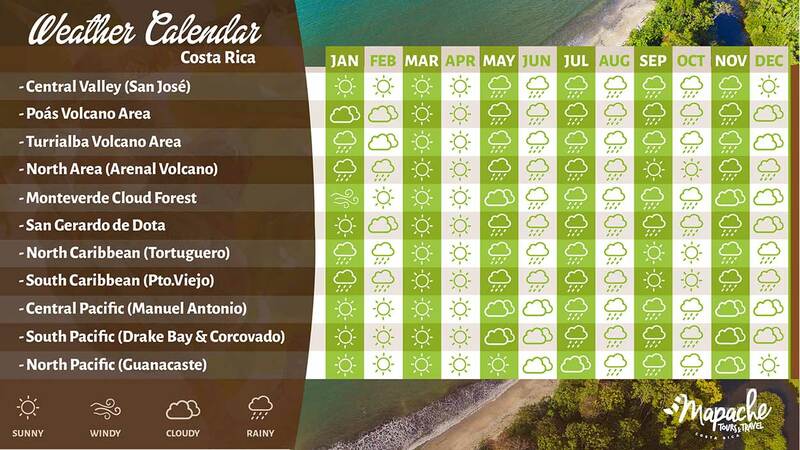 (LINK Find here about the weather and seasons of Costa Rica) also, you can also check the graphic below to see the rainiest, windiest and sunniest months in this magnificent region of the tropics. Throughout the Caribbean, you will find that the accommodations consist in rainforest lodges. It is almost hard to find a place where you won’t hear the monkeys and toucans above the rooms. In this fantastic labyrinth of water canals that go through the National park, the accommodations are divided into four areas: In front of the ocean and close to the town. In Tortuguero you cannot bathe in the ocean as it is quite violent and dangerous, and it is fully protected because of the sea turtles, so the advantage of being in front of the beach are actually the sounds of the waves, the permanent breeze and the fact that you can walk to the village if you like. As well as, in the time when turtles are hatching, you may have a chance to see them! The advantage of these hotels is that they are immersed in the rainforest and the wildlife sightings are much more common than in the hotels in front of the sea. Sometimes if the town has a party or the typical bars put their music a bit louder, you will hear it instead of the beautiful forest sounds. In the Penitencia area of Tortuguero and like in the front of the village you will be immersed in the forest but a bit more isolated from the town, it’s shopping and its noises. 30 to 45 minutes from the National Park and Tortuguero Village, it is almost considered as another region. Although it is amazingly immersed in the forest and in front of the ocean. One of the less known a fantastic spot, however. All the accommodations in Tortuguero are lodges, and there is only one hotel that has AC and TV in the rooms. 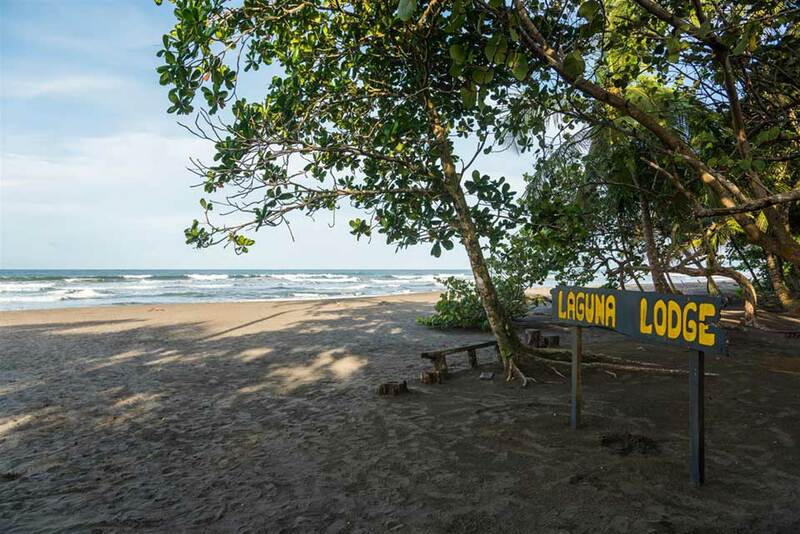 In Cahuita, Puerto Viejo and Punta Cocles you will find that the road goes almost parallel to the surf, and there are hotels in front of the ocean and hotels on the other side of the street. Mostly all are lodges and rustic. Although ask our travel consultants, there are a couple of gorgeous boutique hotels that will create a fantastic experience for you. 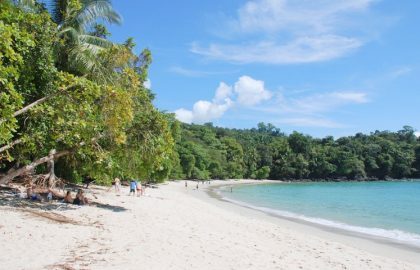 Limon, an excellent destination for shore excursions to the several cruises that arrive in Costa Rica, although we certainly do not recommend staying overnight there, as there are so much better places to visit enjoying the magnificent nature of the area. 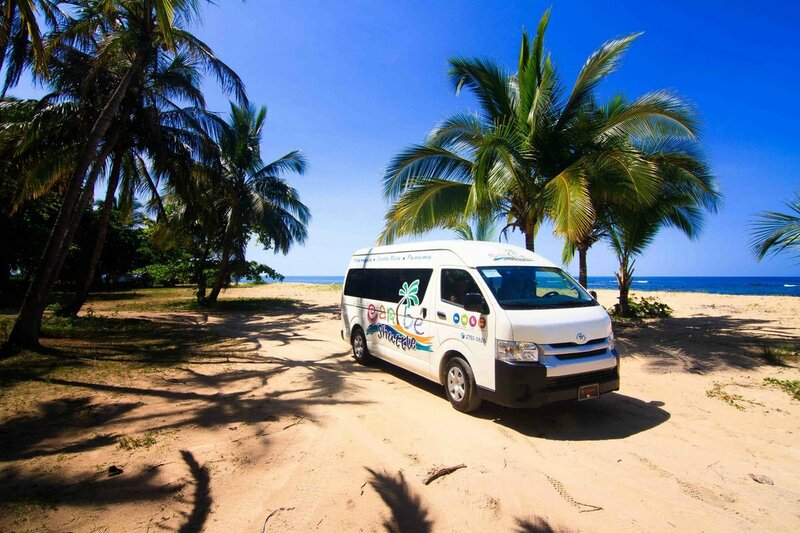 In Bocas del Toro you can find quite a diversity of places to stay on the main island as well as in the rest. Throughout the Caribbean side, you will find fantastic hikes through the forest with naturalist experts to tell you everything about these ecosystems. 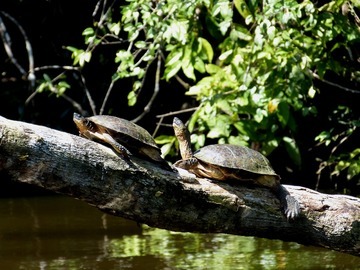 In Tortuguero, mostly all tours are on boat, kayak or canoe. Impressive wildlife rescue centers and great experiences into the indigenous communities. You can also find close to the region places like Veragua that has a whole biological station to research and a breathtaking rainforest that you will see from aerial tram gondolas and great hikes. Or go rafting in the legendary Pacuare River on the way in or out of the area. 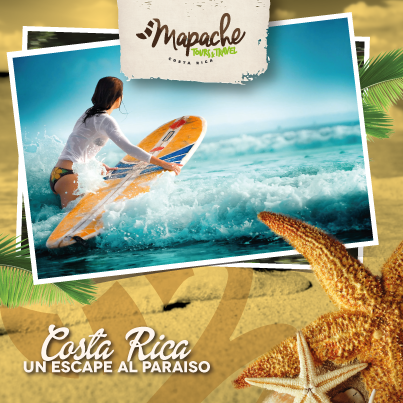 There is a wave called Salsa Brava that breaks over the coral reef in front of Puerto Viejo, and surfers from all over the World come to challenge it… If you like surfing and off the beaten track destinations, this is your region! The region is mostly a mixture of the Costa Rican Pura Vida joyful and gentle essence, the Caribbean laid-back vibe and a fantastic sort of people coming from all over the World that has found their dream place in this region. Throughout the Caribbean, you will find the delicious coconut-based diet, especially try the “Rice and Beans” (In English) that are made in coconut milk and the Caribbean Style Chicken. In the area, as you would expect the main rhythms are Calypso and Reggae, although if you visit in September and October, you may hear the comparsas (Dancers for the carnival in October) in their rehearsals for the carnivals with a drums rhythm that will make you dance! To wrap it up, the Caribbean side of Costa Rica is rich, luscious and a breathtaking nature destination, there is much more than what we are listing here, please ask our travel consultants and give a try to its flavors, music, exuberance and fantastic beaches!